Listen to John Cencig as he speaks with Steven Weirich about the importance of tax planning on the 51st edition of Steve's popular podcast show, Arlington-Prospect Advice Givers (APAG). 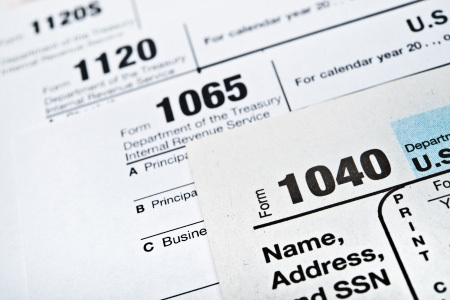 Whether you're a business or an individual taxpayer, comprehensive tax planning is the key to saving money on taxes. At Claremont Management, we'll provide you with expert guidance and insight, and develop a custom plan with tax-saving strategies based upon your unique business or personal situation. We'll also be happy to answer any questions you may have in clear, easy-to-understand language - not "accountant-speak." At Claremont, we also use mid- and (fiscal) year-end meetings to thoroughly analyze how personal or business changes will impact your tax liability and outline specific steps you can take to minimize your tax burden or maximize your deduction(s). 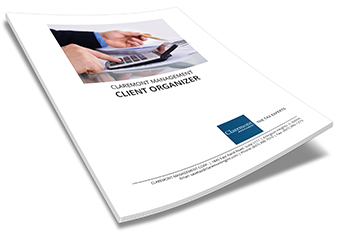 If you're new to Claremont Management, you can download our Client Organizer below. This will provide us with the information we need to best assist you with Tax Planning and Preparation. Existing Claremont Management clients receive a personalized version of this organizer annually.